Brother DR350 Premium Compatible Toner Cartridge - DCP-7010, 7020, 7025, HL-2030, 2040, 2070 N, Intellifax 2820, 2910, 2920, MFC-7220, 7225M, 7420, 7820 N - (12,000 pages). The use of compatible supplies does not void your printer warranty. 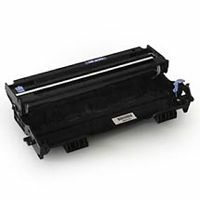 Brother DR350 OEM Toner Cartridge - DCP-7010, 7020, 7025, HL-2030, 2040, 2070 N, Intellifax 2820, 2910, 2920, MFC-7220, 7225M, 7420, 7820 N - (12,000 pages). Brother DR400 Premium Compatible Laser Drum Cartridge - DCP-1200, DCP-1400, HL-1230, HL-1240, HL-1250, HL-1270N, HL-1435, HL-1440, HL-1450, HL-1470N, IntelliFax-4100, IntelliFax-4100e, IntelliFax-4750, IntelliFax-4750e, IntelliFax-5750, IntelliFax-5750e, MFC-8300, MFC-8500, MFC-8600, MFC-8700, MFC-9600, MFC-9700, MFC-9800, MFC-P2500 - (20,000 pages). The use of compatible supplies does not void your printer warranty. 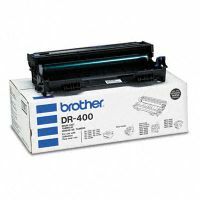 Brother DR400 OEM Drum Cartridge - DCP-1200, DCP-1400, HL-1230, HL-1240, HL-1250, HL-1270N, HL-1435, HL-1440, HL-1450, HL-1470N, IntelliFax-4100, IntelliFax-4100e, IntelliFax-4750, IntelliFax-4750e, IntelliFax-5750, IntelliFax-5750e, MFC-8300, MFC-8500, MFC-8600, MFC-8700, MFC-9600, MFC-9700, MFC-9800, MFC-P2500 - (20,000 pages). 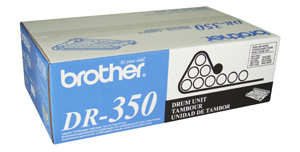 Brother DR500 Premium Compatible Drum Cartridge - DCP-8020, 8025D, 8025DN, HL-1650, 1650N, 1650N+, 1670, 1670N, 1850, 1870, 5040, 5050, 5070, MFC-8420, 8420DN - (20,000 pages). The use of compatible supplies does not void your printer warranty. 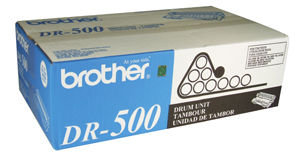 Brother DR500 OEM Drum Cartridge - DCP-8020, 8025D, 8025DN, HL-1650, 1650N, 1650N+, 1670, 1670N, 1850, 1870, 5040, 5050, 5070, MFC-8420, 8420DN - (20,000 pages).